3What are examples of bullying? 4Is bullying only a children’s issue? 5What are the warning signs of bullying? 6What’s the connection between bullying and suicide? 7How can students prevent bullying? 8How can adults teach children about bullying? 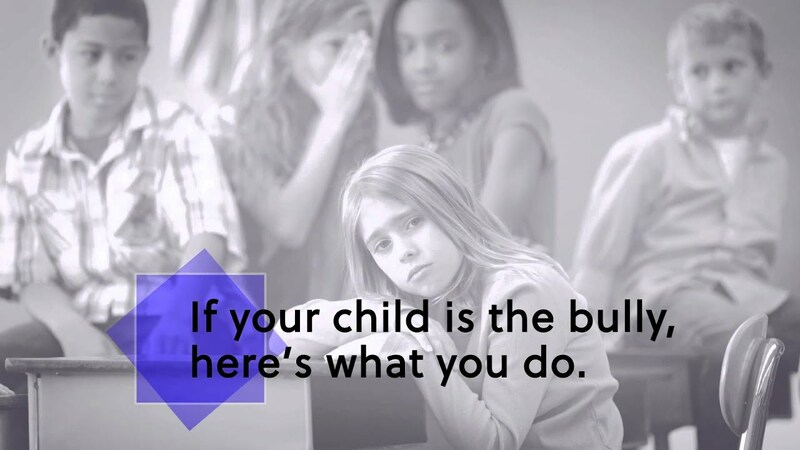 9What should I do if my child is being bullied? 10What should I do if my child becomes a bully? 11How should I report bullying incidents? 12Do schools educate students on bullying? 13How are bullies dealt with in school? 14As an educator, what’s the most effective way I can stop bullying? Bullying is widely defined as aggressive behavior among school-aged children that involves a real or perceived power imbalance. It’s always unwanted, sometimes public, usually repeated. And both the kids who are bullied and those who bully others may have serious, lasting problems. An imbalance of power: Bullying happens between peers. But social scientists observe that kids who bully use some kind of power—such as physical strength, access to embarrassing information, popularity or willingness to be mean—to control or harm others. Power imbalances can change over time and in different situations, even if they involve the same people. It’s old data, but then it’s an age-old problem: In 2007 one in three students aged 12-18 reported being bullied at school. Bullying is bullying, no matter where it occurs. However, school is where it occurs most frequently. It’s most common in places where there is little or no adult supervision. In fact, middle-school students, particularly sixth-graders, are most likely to be bullied on the bus. Bullying online offers opportunities for the bullies — it can be anonymous and it’s very public — and hassles for the victims and those who would protect them, such as educators who struggle with authority outside of school. Even worse, new research suggests that technology increases the emotional harms associated with bullying. A study by the University of New Hampshire found its subjects who were bullied both at school and online felt much more embarrassed and unsafe. 3/14 What are examples of bullying? 4/14 Is bullying only a children’s issue? It may not be called bullying, but harassment, hazing, intimidation or other manifestations of interpersonal harm occurs in high school and on college campuses too. In high school, it’s more likely to be done in packs, and more likely to last longer than the one-on-one prevalent in elementary school. And, while there’s more bullying overall in the middle grades, cyberbullying is mostly a high school problem. 5/14 What are the warning signs of bullying? 6/14 What’s the connection between bullying and suicide? Panic is not too strong a word to describe public concern about bullying and suicide, say the Centers for Disease Control. Suicide is the third-leading cause of death among America’s adolescents. And there is a link. But what we don’t know, says the CDC, is if bullying directly causes suicide. There’s a difference between circumstances being related to an event and being direct causes or effects. What is known is that both are complex public health problems, and that most students have a combination of risk and protective factors for either. Those factors include presence or absence of family conflict, connectedness at school, use of alcohol or drugs, exposure to violence, relationship problems, disabilities, learning problems, and access to resources and support. What’s important is to reduce risk factors and increase protective factors, which are proven to fight both bullying and suicide-related behaviors. The CDC faults the media for playing the blame game. Framing the issue as “bullying is a direct cause of suicide” creates the false impression that suicide is a natural response; encourages copycat behavior; focuses the response on punishment rather than prevention and treatment; and takes attention from the other important risk factors. 7/14 How can students prevent bullying? Nearly 60% of bullying situations end when a peer intervenes, giving students an important role in bullying prevention. However, many students are unsure how to take the first step. If you’re a parent or supportive adult, have that conversation with your kid. Maybe you’ve noticed something, or you could ask what they’ve noticed. Ask how they would want someone to support them, and offer these options for them to support someone else: talking to the student being bullied, telling the victim and/or the bully that it’s not OK, inviting the victim to join in an activity. They can do what’s right and do what’s right for them, remembering that the most effective step to encourage your child to take is to show support for the student being bullied. 8/14 How can adults teach children about bullying? These suggestions work for parents, teachers and officials. Talk about what bullying is and how to stand up to it safely. Tell kids bullying is unacceptable. Make sure kids know how to get help. Check in with kids often. Listen to them. Know their friends, ask about school, and understand their concerns. Special activities, interests, and hobbies can boost confidence, help kids make friends, and protect them from bullying behavior. Model how to treat others with kindness and respect. 9/14 What should I do if my child is being bullied? If your child is being bullied, a neutral environment is the place for any discussion, or confrontation, with people at school or the parents of the bully. It is important to find out pertinent and detailed information about the bullying, including the perpetrators, when and where it happened and the extent, particularly any threats made against your child. Once you have a clear and reasonably objective understanding of what has been occurring, make an immediate appointment with the school’s principal. If you have a copy of the school’s anti-bullying policy and you feel the bully has violated it, make sure you indicate that to the principal. When meeting with the principal, remain calm, relate the facts, and ask for help. If the harassment continues, document it and file a Notice of Harassment. You may need to move up the chain of command, contacting the superintendent of schools, board of education, or possibly even state and federal authorities. If the bullying does not stop you should file charges with the school board and law enforcement if appropriate. This is also a track record about the bully that could follow them into more serious offenses later on. If a clear, direct and violent threat that pertains to outside of school has been made, contact the authorities immediately. 10/14 What should I do if my child becomes a bully? Sit down and have a conversation. Tell them that the school or other parents have reported their aggressiveness, that you love them no matter what, that their behavior has to change and that you won’t tolerate it and will support the school’s punishment. Include a short moral lesson. Explain that bullying, whether it’s physical or verbal, causes pain to others. Let them know that name-calling, teasing, hitting, pushing, starting or spreading rumors are wrong and not acceptable behavior. Depending on the age of the child, they may not know any better. Young children, especially, need to be told that hurting another child is not acceptable. Offer reassurance and support. Let your child know that you will help them to change the behavior and correct the situation. Ask them how they think the bullying could be stopped. What do they think has to change in order for them to change? After you have thoroughly discussed this with your child, meet with their teacher to get the teacher's perspective. It’s hard but important to keep calm and listen without being judgmental. Let the teacher know that you are willing to work with the school to help stop your child from bullying. It’s important to tell the teacher if there are any family problems that you might be experiencing. Difficult truth: Additional counseling could be needed for your child. It could help them learn to behave differently, accept responsibility for their actions and teach them how to develop guilt, as well as learn how to form cohesive relationships. 11/14 How should I report bullying incidents? Most, if not all, schools and school districts have their own procedures and policies on how to report bullying. Parents and children, teachers and guidance counselors should familiarize themselves with their school and school district’s anti-bullying handbooks. If you have repeatedly reported bullying to your school’s administrators to no effect, contact the authorities immediately. The behavior may or may not be illegal. Anti-bullying laws vary on a state-by-state basis. Bullying, cyberbullying, and related behaviors may be covered in a single law or may be addressed in multiple laws. In some cases, bullying appears in the criminal code of a state that may apply to juveniles. Click here for information on individual states. 12/14 Do schools educate students on bullying? An increasing number do — and educators have a lot of programs or curricula to choose from. Elementary schools tend to be the most active. Many evaluated programs that address bullying are designed for them and for middle schools. Fewer programs exist for high schools and non-school settings. There are many considerations in selecting a program, including the school’s demographics, capacity, and resources. There are no federal mandates for bullying curricula or staff training though senators rewriting the No Child Left Behind law are debating appropriate federal anti-bullying policies. They are working to balance Republicans' reluctance to impose federal regulations on states and schools with the need to protect, in particular, LGBT students. 13/14 How are bullies dealt with in school? While there are is no federally mandated curricula regarding bullying, the U.S. Education Department's Office for Civil Rights has issued guidance to schools that bullying is wrong and must not be tolerated. Mandates on investigating bullying allegations are determined locally or by the state. School policy on how to punish or not punish bullies is generally done on a district-by-district basis. Many schools and school districts have ‘zero tolerance’ or ‘three strikes and you’re out’ bullying policies. These policies suspend or expel children who bully others. Recent surveys of elementary and middle school students show that about one in five students admit to occasionally bullying their peers. Even if policies address only physical bullying, the number of children affected by zero tolerance policies is significant. The threat of suspension or expulsion may discourage children and adults from reporting bullying. Bullying can be an early indicator of other problem behaviors. Children who regularly bully their peers are at risk of unexcused absences, fighting, theft, and vandalism. These children need positive role models, including the adults and students in their school. Suspension and expulsion are drastic measures. 14/14 As an educator, what’s the most effective way I can stop bullying? Engage parents and kids: Launch an awareness campaign to make the objectives known to the school, parents, and community members. It is important for everyone in the community to work together to send a unified message against bullying. Create policies and rules: Here’s where a mission statement can actually be useful. Add a code of conduct, school-wide rules, and a bullying reporting system. These establish a climate in which bullying is not acceptable. Disseminate and communicate widely. Educate students and school staff: Build bullying prevention material into the curriculum and school activities. Train teachers and staff on the school’s rules and policies. Give them the skills to intervene consistently and appropriately.